I know some people don’t want to hear it but the Holiday Season is quickly approaching. 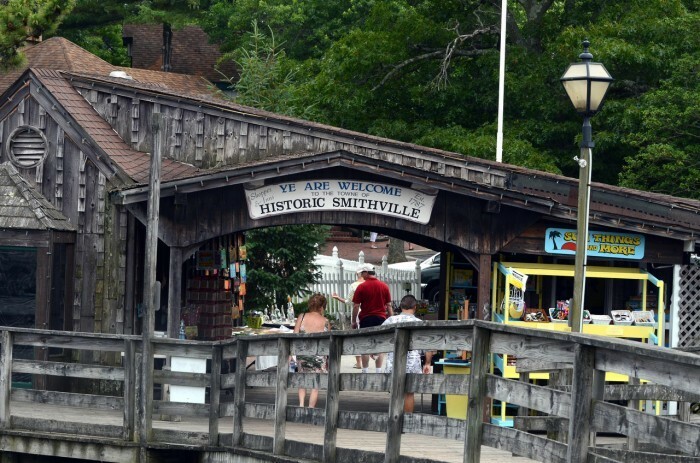 Usually in December when there is just a little snow on the ground and a slight chill in the air we take a trip down to southern Jersey to a place called Historic Smithville. This quaint little village is so beautiful with the snow cover the little store fronts and the holiday spirit just seems to radiate from this place. Well this year we decided to visit a little earlier. There was no holiday shopping going on, and thankfully no snow on the ground but this is still a really nice place to spend an afternoon. 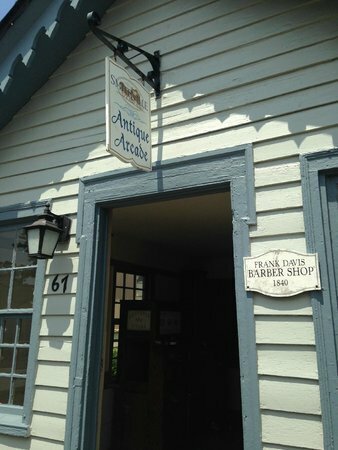 Smithville as a community has existing since American Revolutionary War and had remained largely untouched until the 1960’s. 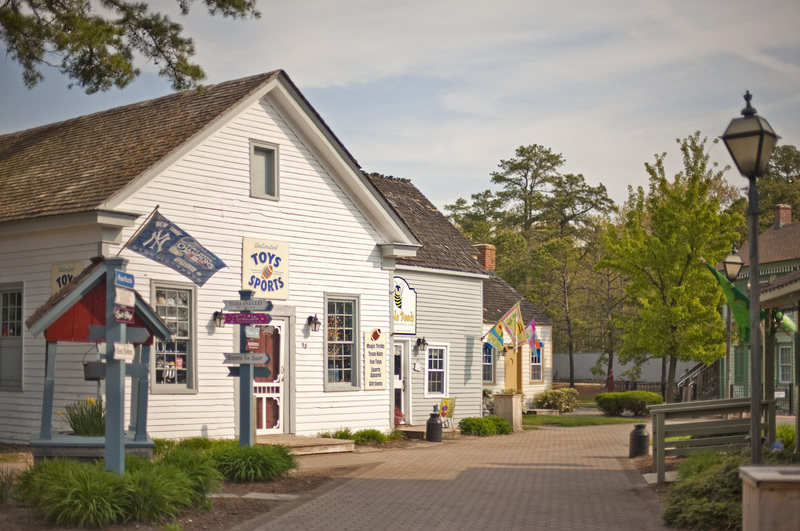 It has since become a popular tourist attraction, and has over 80 unique little shops for you to go and explore. The shops are located along these nice little walkways that kind of take you back in time. 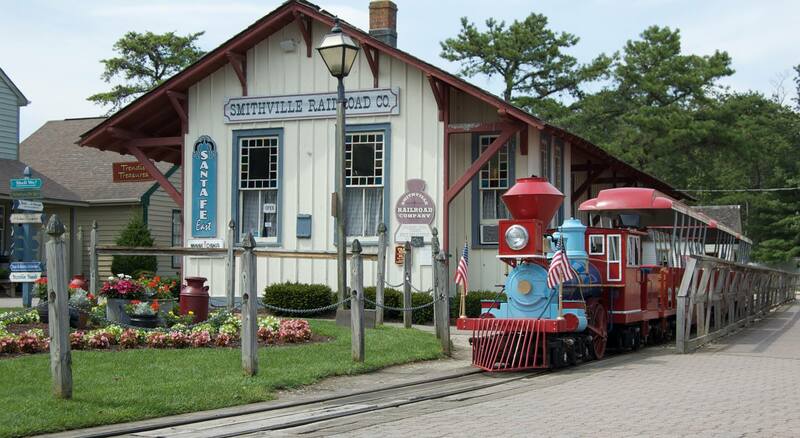 For the kids (or the young at heart) there is a carousel and a model train at the Smithville Railroad Co. offering rides for a small fee. After walking around and visiting all the shops if you get hungry there is a really nice place to sit and enjoy some food. 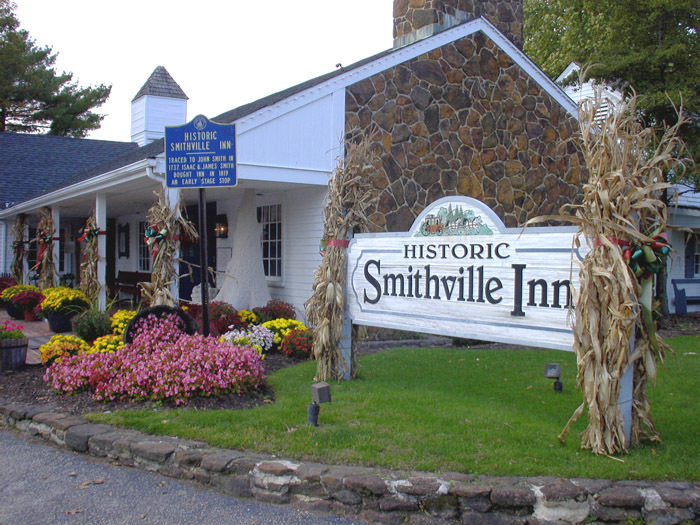 The Smithville Inn was originally built-in 1787 by James Baremore with just a single room but was located along a well-traveled stagecoach route. It was eventually abandoned at the turn of the 1900’s, but in 1952 it was restored and opened as a restaurant. We have eaten here a few times and never had a bad meal. I’m a sucker for their Smithville Pot Pie, but they also have a fantastic Prime Rib. Afterwards we headed back around the village to try to walk off our lunch and I took this opportunity to stop into a small little building. This is where you can find the Antique Arcade. As the sign indicates inside this building you can find some antique arcade machines. There is one that you turn a dial and can create a Sheriff’s badge with your name or any other message on it. 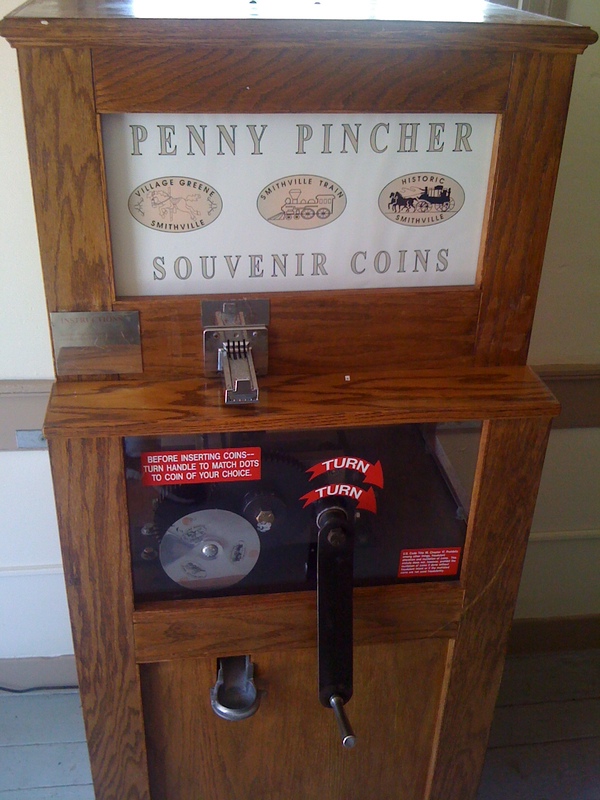 But what I was really here for is the penny machine. This is a three design hand crank machine. As I mentioned this building is kind of small so using the penny machine can be a little difficult if there are a lot of people inside. Luckily for us the place was empty. All three of the designs say “Historic Smithville”. They did press a little short, but I pressed a couple sets and was able to adjust the design selection slightly to help get a better pressing. 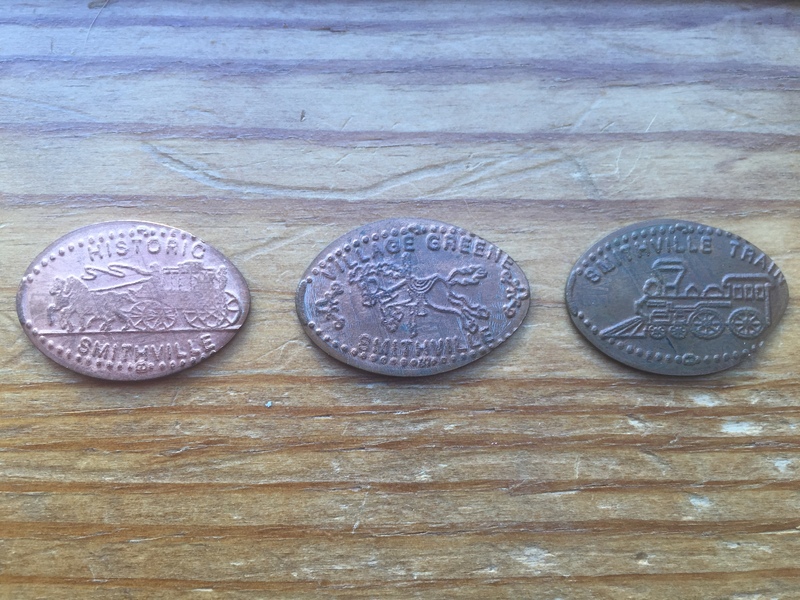 The images on the pennies are: A Stagecoach, a Carousel Horse, and the Train Engine. It was nice to be able to visit Historic Smithville without a huge Holiday crowd and made the experience much more relaxing. However it just wasn’t the same without all the Holiday decorations and warm hot chocolate available in the stores. Oh well, I guess we’ll just have to make the trip back once the Holiday’s are upon us.